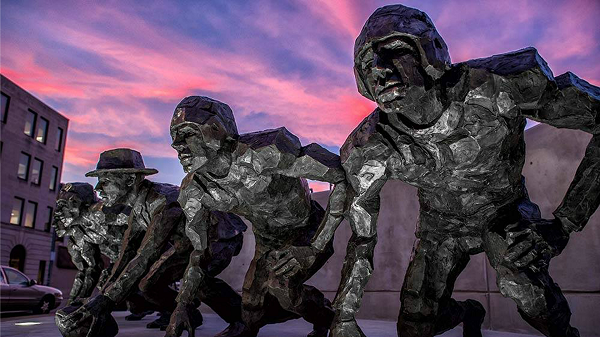 Celebrate Ohio's Football History at these Attractions - Ohio. Find It Here. On Super Bowl Sunday, America will be fixated on their television sets for one of the largest events of the year: Super Bowl LIII! And while our beloved Ohio teams – the Cleveland Browns and the Cincinnati Bengals – will not make an appearance this year, there’s certainly a great deal of Ohio influence to be seen when the football championship airs. Ohio is considered as the home of the National Football League, better known as the NFL. There are destinations you can visit with your family and friends to celebrate Ohio’s Football History in honor of the Super Bowl– or for any reason! The nation’s captivity and affection for the sport had its genesis in Canton, Ohio, when, in 1920, a group of men gathered to create what was originally known as the American Professional Football Association (APFA). In 1922, it was renamed the NFL, and has since become the number one sport in the nation by a landslide! While the building that served as the site of the original meeting no longer exists, one can find a historical marker at the spot, on the corner of 2nd Street SW and Cleveland Avenue SW in downtown Canton. Also on this corner is a sculpture titled “The Birth of the NFL,” which was installed in 2014 as the first of a series of 11 public art installments to commemorate the 11 greatest moments in football history. This $2.2 million arts investment in Canton is an ongoing project (aptly called “The Eleven”) that began in 2014 and introduces new pieces each year. So far, 6 of the 11 pieces are completed, all by different artists in different mediums. A fan favorite is a sculpture titled “The NFL Draft,” located on the corner of 4th Street NW and Cleveland Avenue NW, which shows the formation of football players carved out of stone. You can find a list of all the pieces and their locations at VisitCanton.com. While in Canton, football lovers and history buffs alike can’t pass up a visit to the Pro Football Hall of Fame & Museum. This awesome attraction draws thousands of visitors each year. The unique building is unmistakable, with its football-shaped roof and can be seen while driving on Interstate 77 in Stark County. It has been a renowned museum and tourist attraction in the region and nation since it opened over 55 years ago, in 1963. In recent years, the Hall of Fame & Museum has grown significantly in size and is constantly updating and modernizing its exhibits. It’s incredibly interactive, with video game simulations and a holographic theatre. 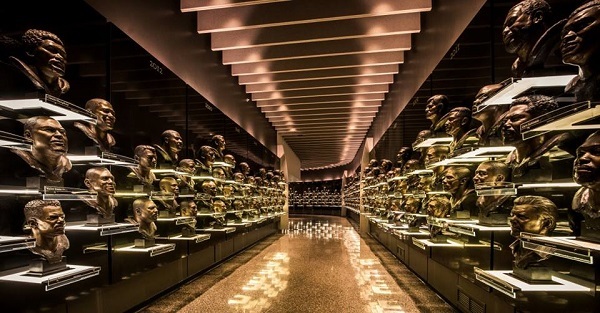 Hundreds of Hall of Fame inductees, trading cards, jerseys of famous footballers and Super Bowl rings of years past fill the walls of the museum. You can book a guided tour, buy general admission tickets, or choose to plan your visit during one of the many events that take place throughout the year. The most notable of these events is the weeklong celebrations surrounding the Hall of Fame Induction Ceremony and the Hall of Fame Game when tons of famous players and inductees make their way into Canton. While watching the Super Bowl, you will undoubtedly see another very important piece of Ohio on your screen: the football itself! That’s because the Wilson Football Factory in the northwest city of Ada, Ohio, manufactures each and every football that is used in the Super Bowl. The company prides itself on the incredible amount of time and attention that goes into making each of these quality balls by hand. 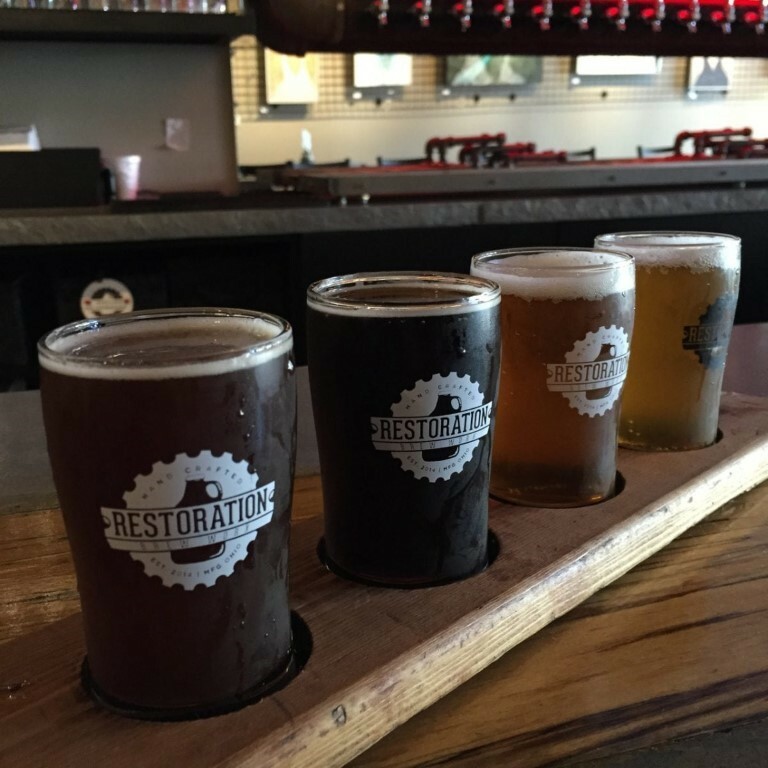 The football-making process involves sewing, inflating, molding, and lacing – something you can see firsthand by visiting the factory and taking a tour. 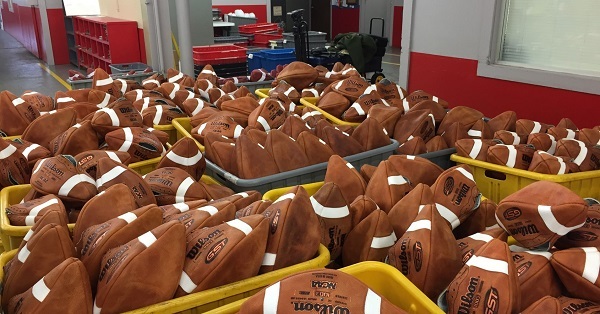 Not only do they produce the balls for the Super Bowl, but they make thousands of pigskins each day for the NFL, college teams, high schools, and the every-day consumer (over 700,000 a year!). You can even buy footballs on site after taking a tour. To book a visit and reserve your spot for this behind-the-scenes magic, call 419-634-9901. Maybe a football you see being made will end up being the winning touchdown at the big game! Ohio produces yet another piece of equipment pivotal to each football game: the whistle! It’s an often overlooked yet incredibly necessary item that helps make the game happen. The American Whistle Corporation, located in Columbus, Ohio, is the only manufacturer of metal whistles in the United States. And they are quite busy, as they make more than 1 million whistles each year! Of course, not only do professional sports referees utilize American made whistles but so do many other professions, including law enforcement, lifeguards and crossing guards. You can get a front row seat to see how these whistles are made (and just how the little ball gets inside the whistle) by booking a tour at the American Whistle Corporation.